Shingle roofing is a popular and inexpensive roofing material that is used on millions of American homes. Shingle roofing materials have improved greatly over the years so now roof shingles can be a good fit for more types of homes than ever. If you are considering a new roof for your home or business, take a look at shingles as you consider the best type of roof for your home. 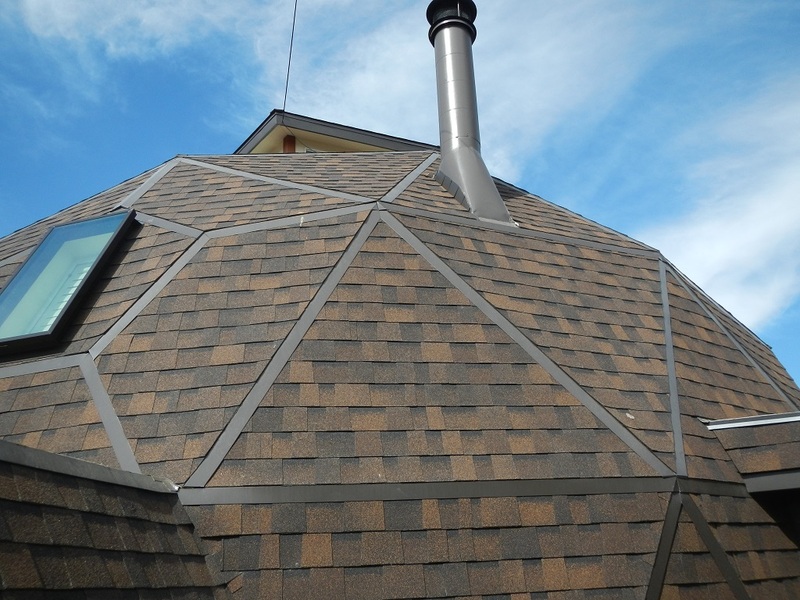 Roof shingles come in several types of materials including asphalt, wood and slate. The most common shingle roofing used in our region are asphalt shingles which are made of glass fibers and other materials that render them water and fire resistant. Ceramic granules in the mixture add durability and resistance to the sun’s rays as well as adding splashes of color to the tiles. Another choice are wood shingles or shakes. This category includes natural wood materials, and also CeDur shakes, a top quality synthetic cedar wood shake that has the look of natural wood shingles, but are UV and fire-resistant, and hold their beauty, lasting 50 years or longer. Shingle roofing is the most common roof used for American homes since it is versatile, easy to install and an affordable choice. Shingles last longer than ever today, with a shingle roof lifetime averaging about 25 years. 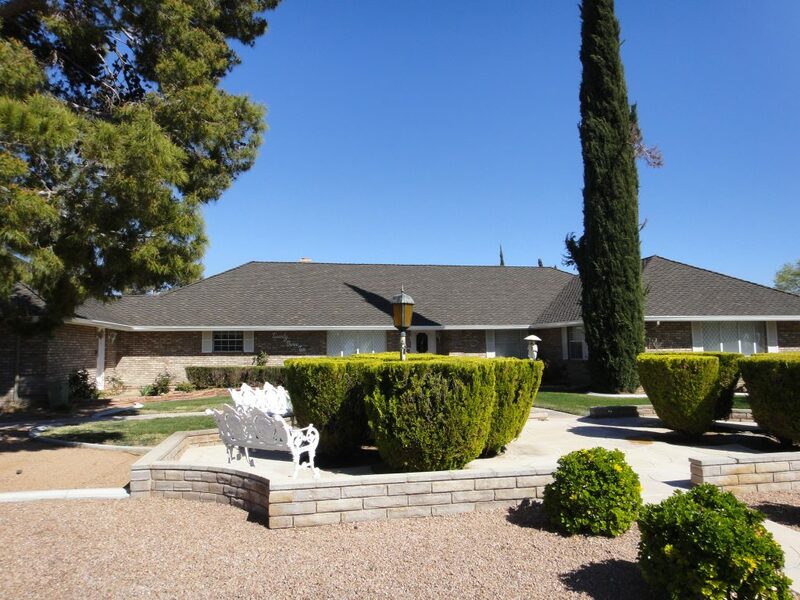 Older shingle roofs made out of earlier materials may age more rapidly, especially in our extreme desert climate, with wide swings in temperature and harsh solar radiation in summer. If you have an older roof with missing, warped, cracked or leaking shingles, your roof is probably in need of replacement. Replacing your old shingle roof with a new one will help you avoid expensive repairs from leaks or structural damage caused by a worn shingle roof. And, a new roof will improve your home’s curb appeal and resale value. Shingle tiles today are available in an attractive variety of colors and styles. They are less costly than other materials and are easy and less expensive to repair in case of damage. As with other roofing, sloped roofs are recommended for shingles so that water does not pool on the roof causing leaks or warping and breaking of shingles due to ice buildup in case of freezing temperatures. 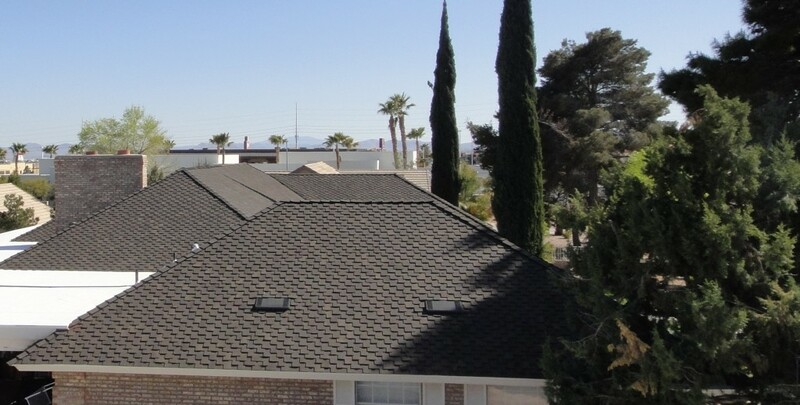 Prestige Roofing in Las Vegas offers a wide range of quality shingle choices along with professional installation by our trained and experienced team. And, you will receive a new roof warranty to help protect your investment. With Prestige Roofing, you can be sure you are getting a shingle roof that you can rely on and be proud of for decades to come.